A company created for cyclists, by cyclists, Bicycle Beyond was established by Wendy & Ingo Kaufmann, a British/Austrian duo passionate about travel, cycling, and combining the two to create the very best cycling holidays in some of the world’s most beautiful destinations. Wendy and Ingo first started organising international cycling tours in 2012, when they decided to combine their annual trip to South Africa with the Cape Town Cycle Tour. 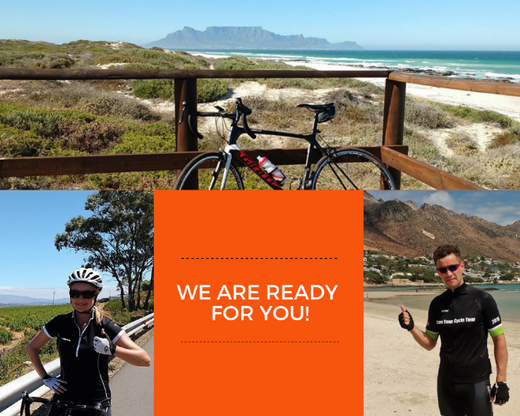 As owners of Equatours, an ATOL bonded UK Tour Operator Company, they were able to create a range of bespoke flight inclusive packages for international cyclists who wanted to enter the iconic ‘Cape Argus’ event, and they have never looked back since. Over the years, Wendy and Ingo have established long-term working relationships with cycle tour organisers around the world, and they have built-up a firm customer base of cycling aficionados who they now call friends. To meet the demand for new cycling holidays in new destinations, they decided to launch Bicycle Beyond in 2018, a travel company 100% committed to cycling. Please feel free to contact Wendy and Ingo to discuss your dream cycling holiday.